Titan is our highest security lock down solution for phones and tablets. This hardened security solution has been forged to keep your highest risk display merchandise completely safe. Tempered steel brackets and solid metal construction make it a cost-effective, durable solution ready for the most challenging retail environments. No plastic here. Each component is made of a high-grade metal alloy, and custom designed specifically to stop theft. 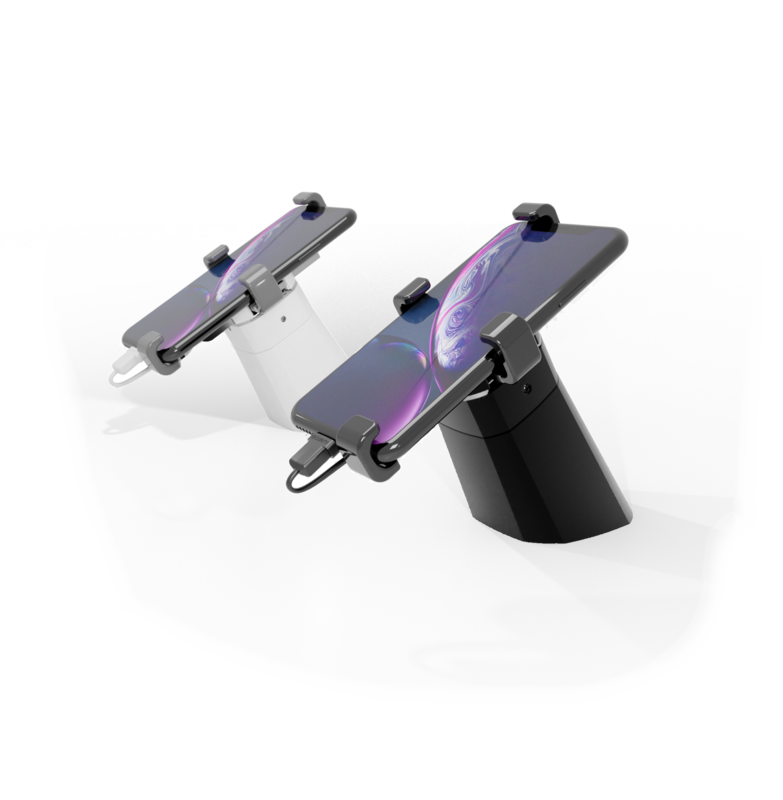 The rugged steel bracket keeps the device completely locked down to the display pedestal at all times. Check out the product sheet to learn more about how this product is the most robust, strategic, and inclusive above-the-counter security solution in the industry today.